Today is Groundhog's Day in the U.S. That means that by tradition, the media descends upon Punxsutawney, Pennsylvania waiting for the groundhog named Punxsutawney Phil. If Phil sees his shadow, winter weather will continue for six more weeks. 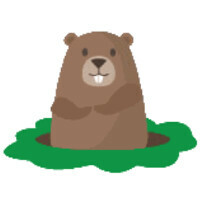 If Phil doesn't see his shadow, it means that spring will come early. In hours, we should know Phil's prediction. What we do know now, is that the manufacturer has a couple of deals for Groundhog's Day. One that is now live involves giving away a free Jabra Move headset with the purchase of the HTC One A9. That is a $99 value. This deal expires at midnight tonight EST, which means that you have all day Tuesday to place your order from HTC's website. You can order the phone unlocked, or connected to the AT&T, Sprint or T-Mobile networks. The handset is priced at $499.99. There is a limit of four purchases per customer. The deal that starts at midnight EST Wednesday and runs through the entire day, allows you to take 60% off of the HTC RE Camera. The discount should take the camera down to a price of $79.99, compared to the pre-Groundhog's Day price of $199.99. The RE Camera automatically pairs with your phone, and video captured by the device is streamed to your handset by default. From there, you can edit the clip and send it out to your friends and family. Remember, today's deal expires at midnight and Wednesday's deal expires once the calendar changes to Thursday. You Americans have some of the weirdest holidays I've heard off. Wasn't the A9 suppose to work on Verizon by now?